CalendarHeatmap.js is a jQuery plugin used to generate a dynamic, interactive, configurable calendar heatmap for representing time series data. Hover over the time slots to show details for each of the days on demand. Inspired by Github’s commit calendar graph. 2. Include the minified version of the jQuery CalendarHeatmap.js plugin after jQuery and moment.js. 3. 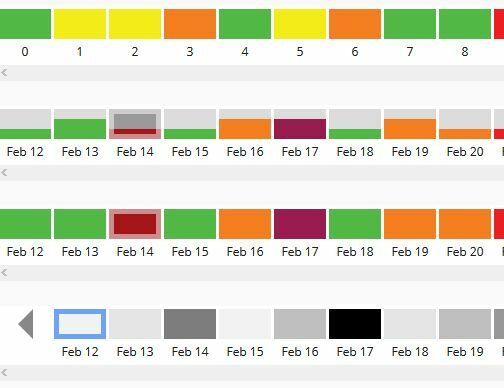 Create a placeholder element for the generated calendar heatmap. 4. Prepare the data you want to present in the calendar heatmap. 5. Visualize the data in the calendar heatmap. 6. 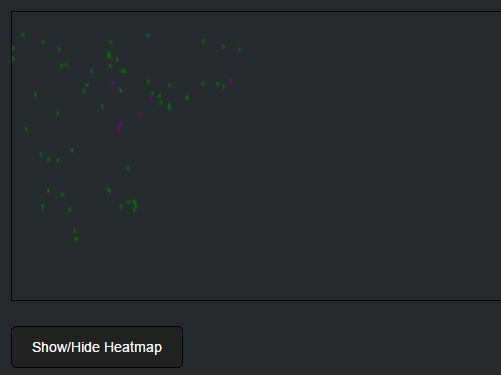 All default options to customize the calendar heatmap. This awesome jQuery plugin is developed by SeBassTian23. For more Advanced Usages, please check the demo page or visit the official website.